A smiling figure of the Buddha, sitting in meditation, with a prayer necklace. Carved from precious ice jade. 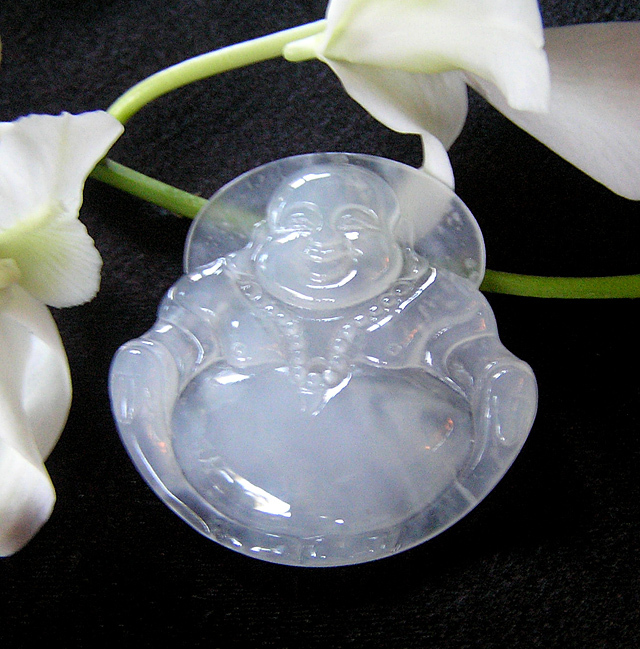 Its unique quality is its near-transparency when carved very fine -- a quality on full display in this wonderful piece of certified jade. 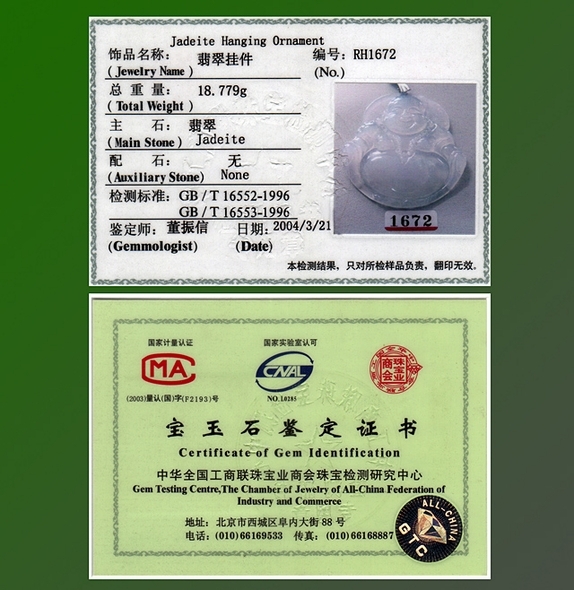 Certified as 100% genuine, natural jade by Gemologist Dong Zhen Xin in Beijing, 2004, on behalf of the Gem Testing Centre, Chamber of Jewelry of the All-China Federation of Industry and Commerce, 88 Funei St. Xicheng District, Beijing. Durable laminated certificate with official raised seal, deluxe gift box. Questions? Send us email: ruby@jadegalleryhawaii.com or call 808-638-7100 for fast, knowledgable answers.